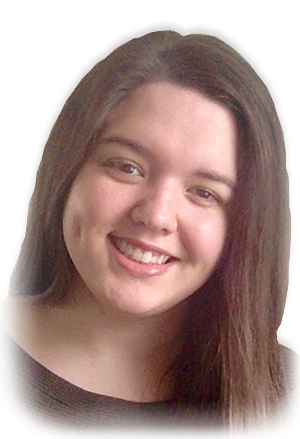 It was on this path that I learned happiness is not a place, writes Emily Higginbotham. I wasn’t used to driving to Jackman in June. The temperature was in the upper 70s and everything on that snaking stretch of U.S. Route 201 was green. I alternated between rolling down the windows and blasting the AC — either option proving to be too hot or too cold — to try to stay cool enough so that my hair didn’t stick to the back of my neck during my ascent up into the mountains. The first time I drove Old Canada Road I didn’t imagine I would make that trip again and again 13 months later. At that time it was December 2016 and I had gotten lost on my way to Montreal. Devoid of cellphone service, I opted for the straight shot to Canada, which took me right through Jackman. I spent the following five days in Montreal ignoring people in bars, sitting down to write with nothing to say, and walking around the frosty old city in total anonymity — which is a feeling I love and a feeling I hate. The city lights, pristine architecture and snowy window panes ended up on my Instagram account because, as I learned from moving to Maine in the first place, boasting an adventurous spirit is the best way to pull off a lonely charade. Jackman suddenly gained national attention just a little over a year later — and only about a month after I started working as a reporter. Social media posts and an online manifesto outlining the white supremacist views of the now-infamous and now-former town manager, Tom Kawczynski, put the tiny border town in the crosshairs of a broader conversation about the amplified voices espousing white nationalism today in America. I was going up there to talk with the people of Jackman, to hear their side of things — and to prove myself as a capable reporter. I went to bed in the honeymoon suite (which I booked because it cost the same as every other room) and read the article I had filed hours earlier. I fell asleep that night feeling as though I was a real reporter who was telling a story that mattered. I came back twice before my June assignment, and by then I didn’t need to follow a GPS to get up to Jackman. I wasn’t nervous, either, even though I was going there to cover a lunch and graduation address from Sen. Angus King. I felt an ease on the familiar road, turning the volume up to the point at which my voice was indiscernable over the music. My Spotify summer rewind playlist streamed favorites from the season’s past. A song came on that I had played on repeat the entire summer after my freshman year of college because it made me think of someone I was in love with. But I couldn’t remember his name, and I laughed, and then I played it again. Somewhere near Caratunk, I looked out the window at the shafts of splintered sunlight peering through leaves and I thought about how soon I’d be trading this in for views of skyscrapers, and my worn-out Camry for a crowded subway car. And now, as I write this — my final column — it’s my last week at the Morning Sentinel, and my last week of living in Maine. In a couple of weeks, I’ll be attending classes in a graduate program at New York University and the beauty of this state will feel like something I dreamt up and romanticized. When I initially applied to NYU, it felt like a way out, like another thing I could do that others might call brave. I applied to NYU because I had this picture in my head of where I ought to be, and my life didn’t meet the expectation. But it’s eight months later, and I don’t feel that way anymore. I think about NYU and I see new possibilities for my future as a writer. I think about Maine and I see a long stretch of highway that’s getting me to where I need to go. It was on this path that I learned happiness is not a place. I learned self-doubt begets more self-doubt. And I learned there’s a lot more to learn. I’d like to think I took the scenic route in life; it wasn’t out of the way or a detour — it was the most memorable way to travel. I remember feeling that post-deadline euphoria after I filed my story about King’s graduation speech. 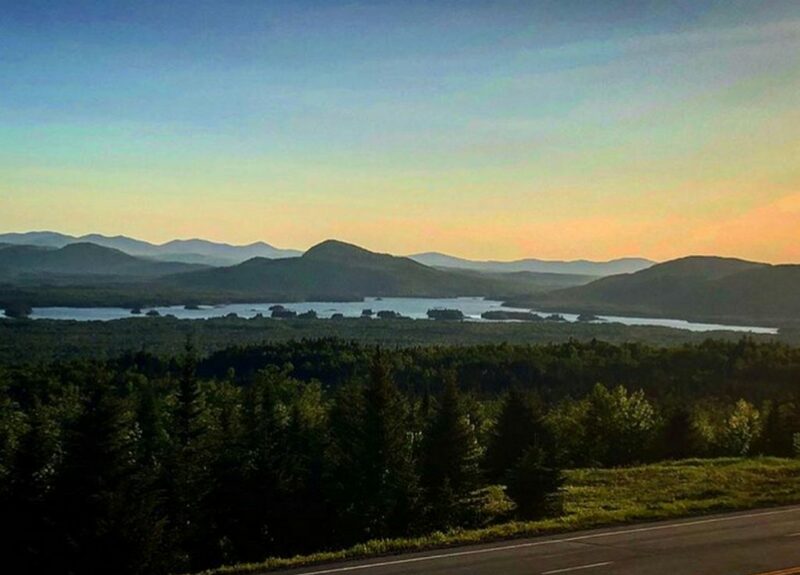 I hopped into my car and buckled in for my nearly two-hour drive back down to Waterville. The sun lowered in the sky and I felt compelled to pull into the next scenic overlook I saw. I got out and left the car running, the music playing, and I looked out over the horizon. I tried to burn the image of mountains and greenery in the distance into the back of my mind so I could close my eyes and call upon it on darker days. So I captured it with my camera, just in case. I took a deep breath of the thin air and got back into the car, saying farewell — a least for now — to Jackman. I gripped the steering wheel and peeked at the rearview to see the dipping sun; but mostly, I kept my eyes focused on the long, winding road ahead. Emily Higginbotham is the Morning Sentinel’s newest reporter. Read more of the Notes From A Novice column which appears every other Tuesday.